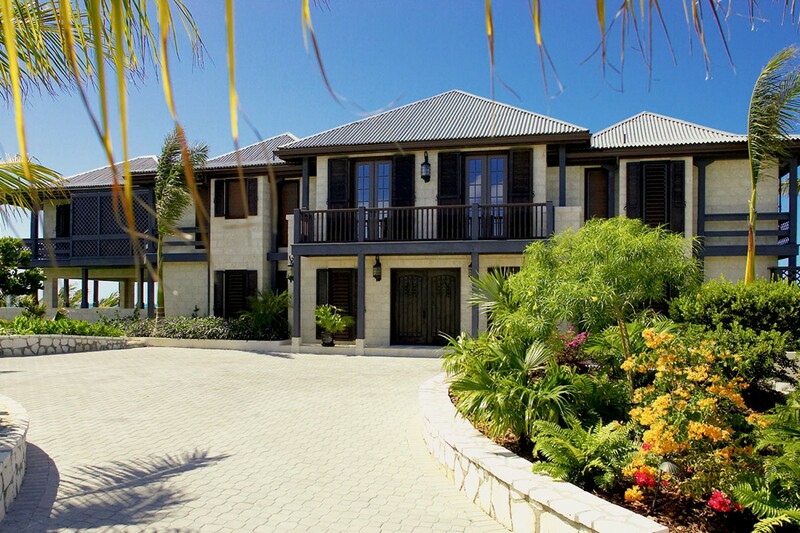 Welcome to Villa Seacliff, a fabulous 5-bedroom oceanfront villa atop the cliffs of Chalk Sound in Providenciales, on the Turks and Caicos Islands. 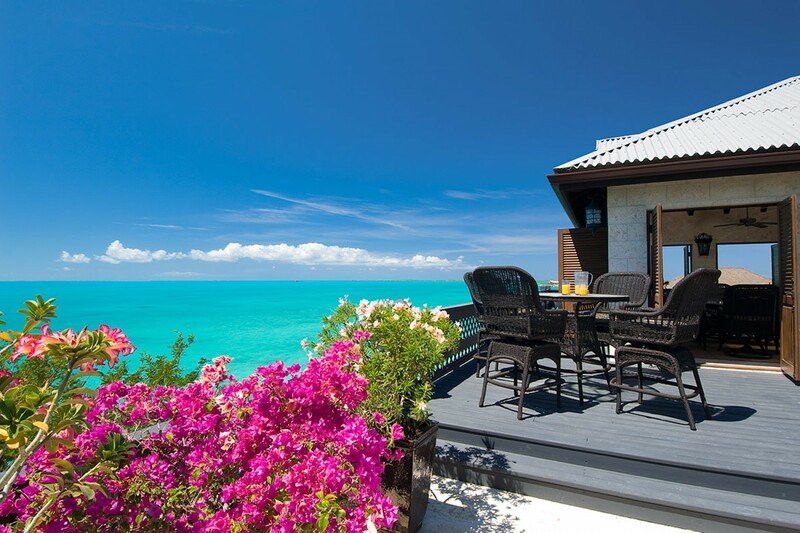 From its perch on the cliffs, Villa Seacliff stays true to its title, and gives way to magnificent panoramic views, both land and sea. 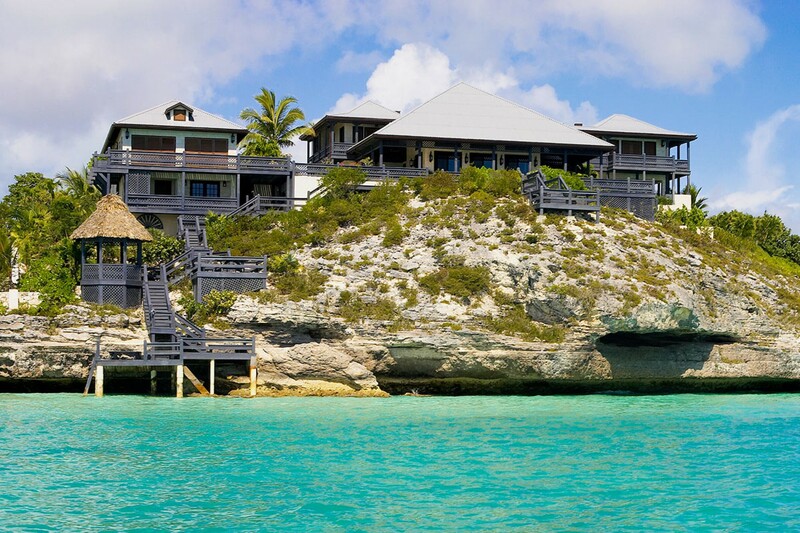 The villa itself stands formidable on the cliffside, using symmetry in its design for a pleasing aesthetic, and striking architecture, the depth of which can only be seen from the rear. 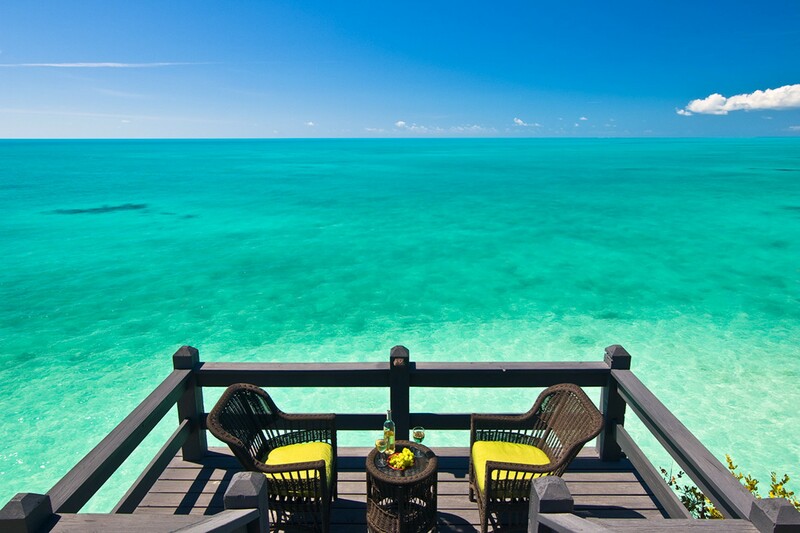 The turquoise waters of the Chalk Sound sit right below the villa, which can be accessed from the terrace deck, with a private dock attached. 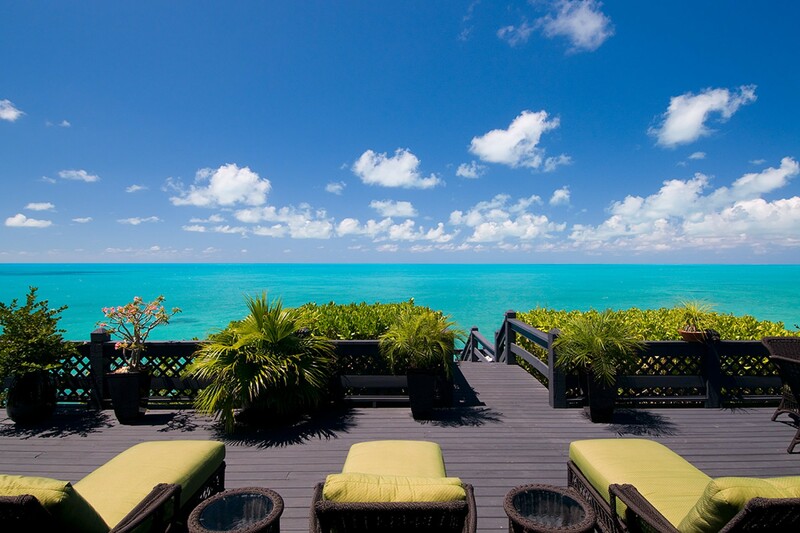 An abundance of outdoor lounge areas are available for guests pleasure, from the expansive terrace and patio, both shaded and open, to soak up the sun, to a thatched gazebo down the steps to the dock, perfect for reading a book or relaxing to the sound of the waves lapping against the rock face. 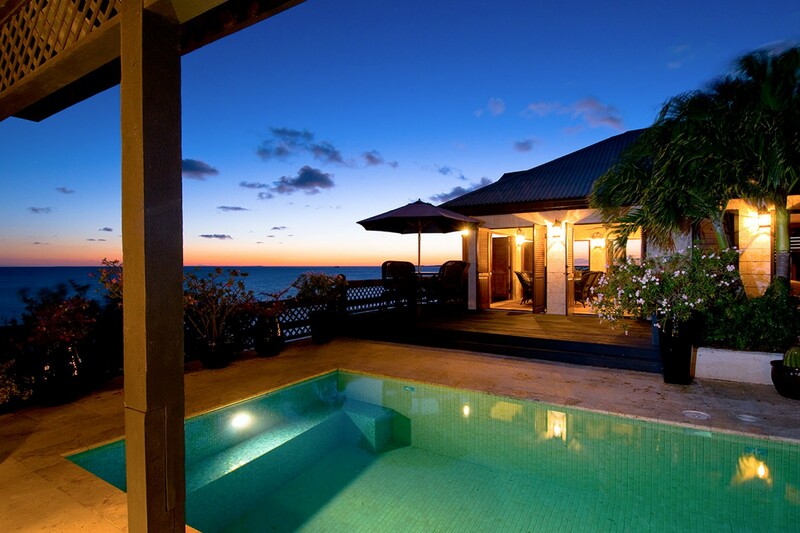 Sitting between the main villa and the guest house, a private pool outfitted with underwater lights is the perfect spot to take a dip in cool waters after the sun has gone down. 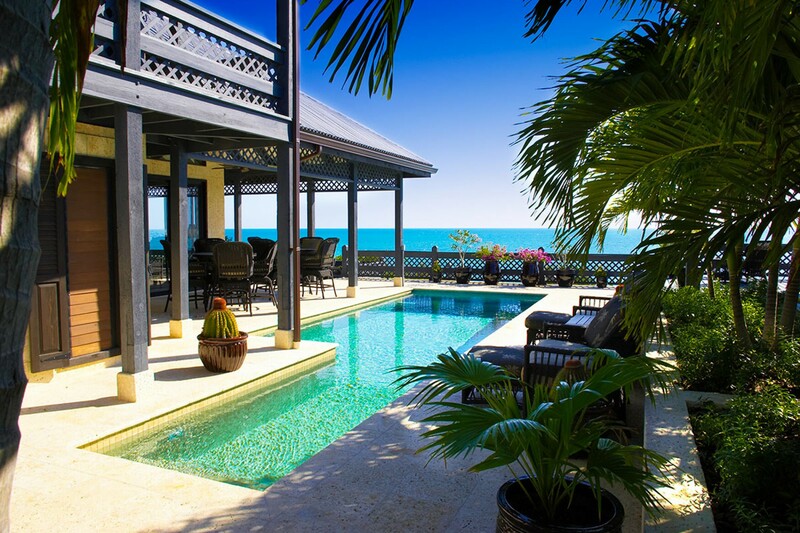 The cavernous great room of the main villa stands at 30ft high at its apex; the open-plan space contains the kitchen, dining area, and lounge, all with a view of the Caribbean Sea as it extends out onto the decked terrace. 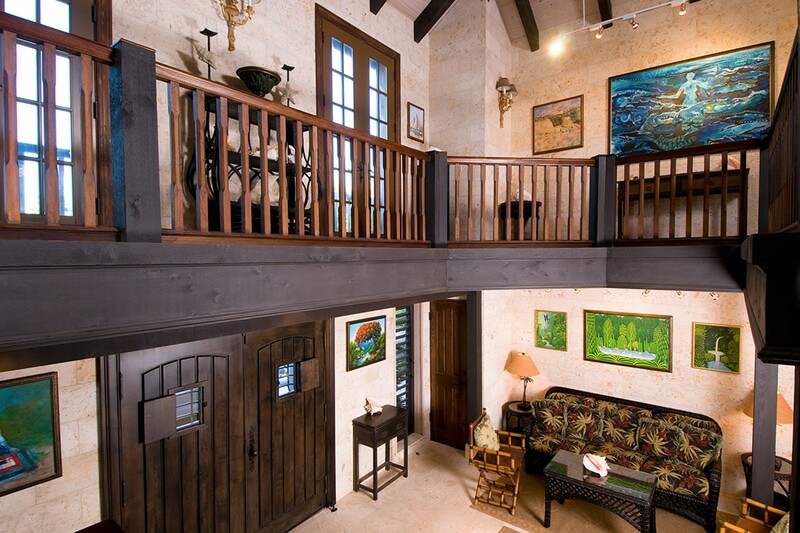 A balcony upstairs, accessed from the foyer, overlooks the great room, also accesses the only upstairs bedroom of the main villa. 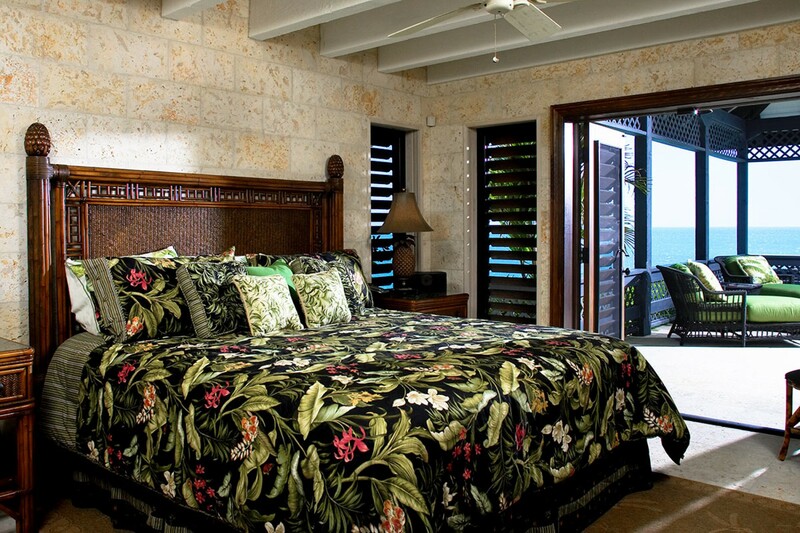 With stone floors to assist with temperature control, the walls are clad the color of coral, along with wicker furniture using textile prints inspired by the vibrant flora of the island. 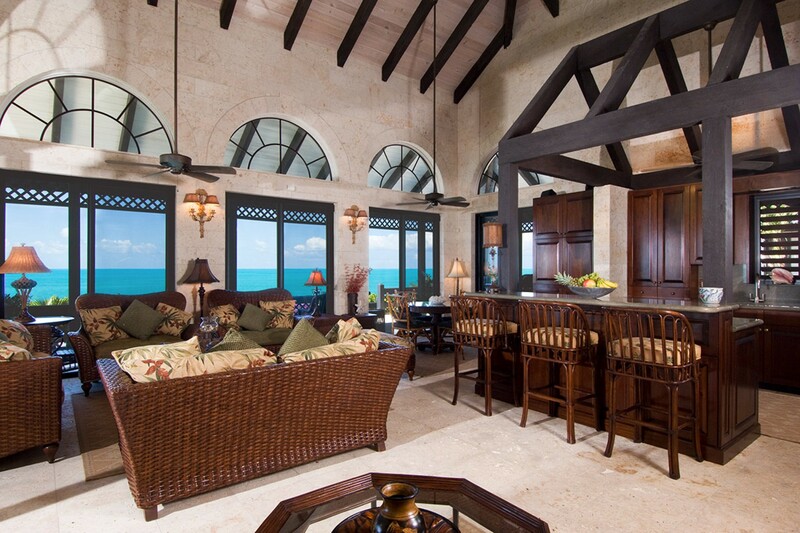 The lounge area, filled with plush couches and chairs provide guests with a space for intimate conversation, or simply just to stretch out and cool off from the tropical Caribbean climate. 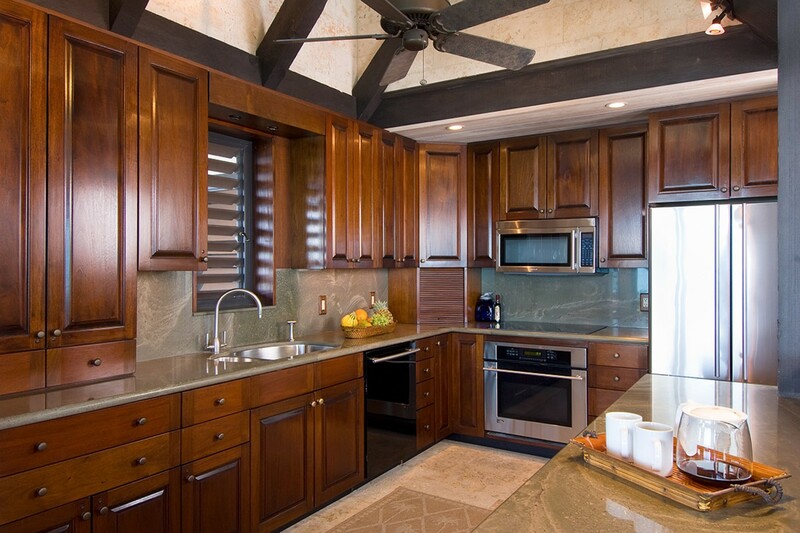 The kitchen is filled with state-of-the-art appliances, cabinetry and surfaces constructed with sturdy materials and expertly finished and hosts a breakfast bar with seating for three. 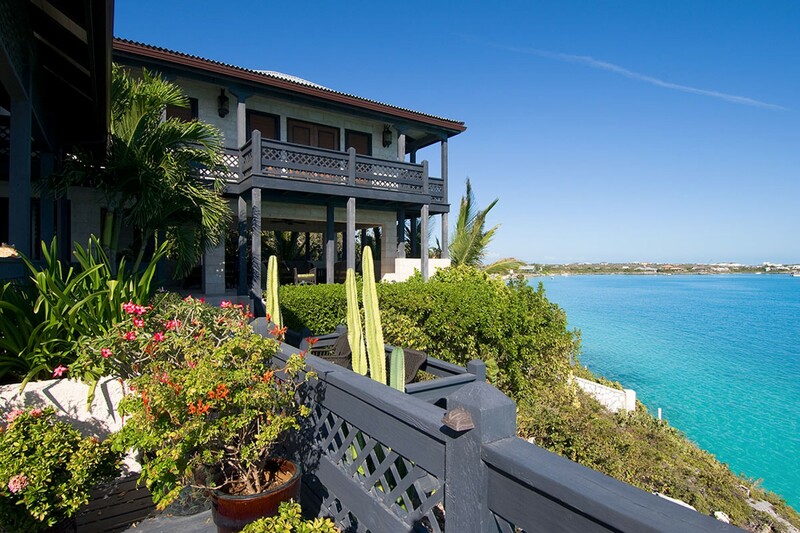 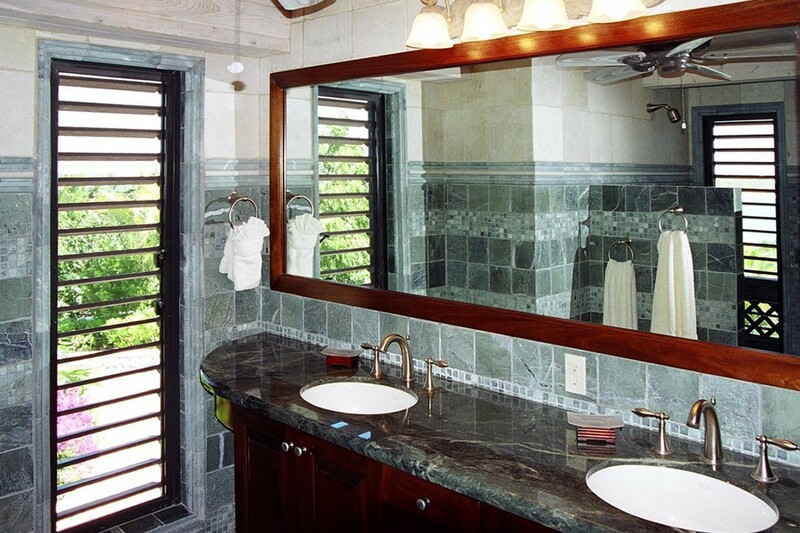 Villa Seacliff has a maximum capacity of ten people; the five bedrooms are all equally equipped with en-suite bathrooms and showers, and all have the glorious view of the Caribbean flowing through their windows. 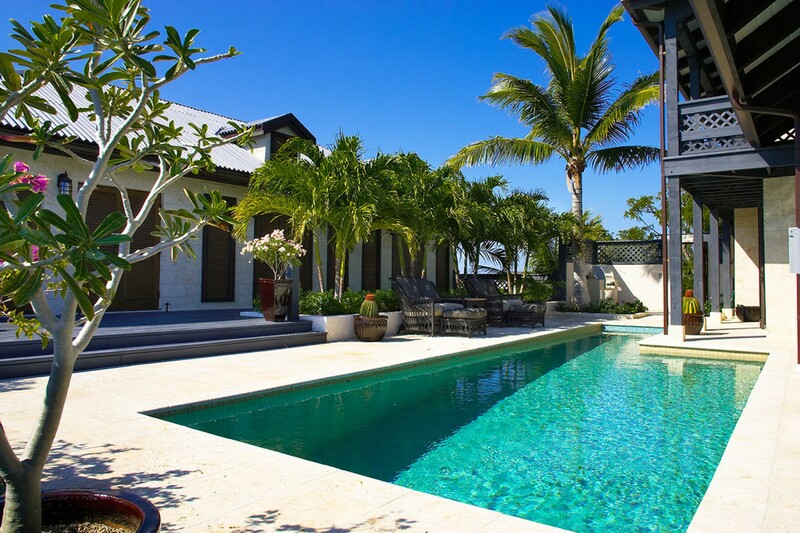 Following suit with the rest of the villa, the outside is the influence for the interior design, with stone floors, coral-textured cladding and wicker furniture. 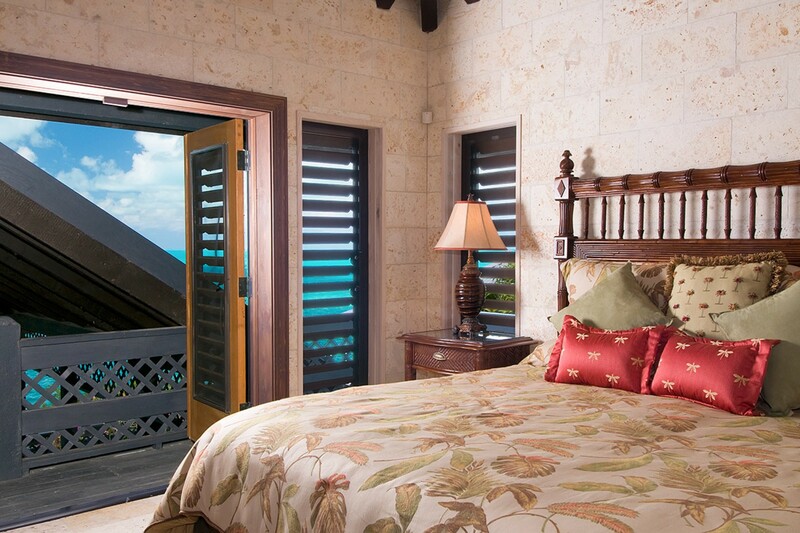 Each of the rooms provide lavish queen size beds, and all have direct access to either a veranda or the terrace deck. 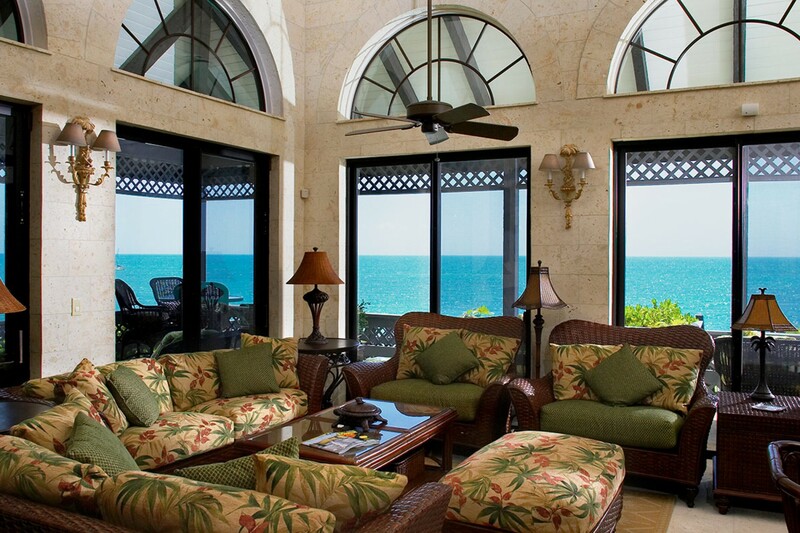 Equipped with air-conditioning and ceiling fans to maintain a pleasant coolness during the day’s hottest climes, comfort is at the forefront at Villa Seacliff. 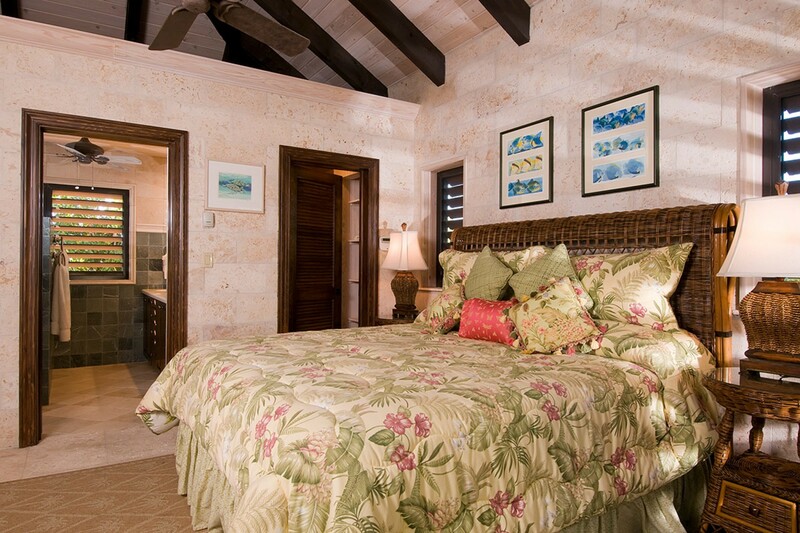 Two of these bedrooms are located in the adjacent self-contained guest house, at the other side of the pool, that comes complete with its own living room and dining room. 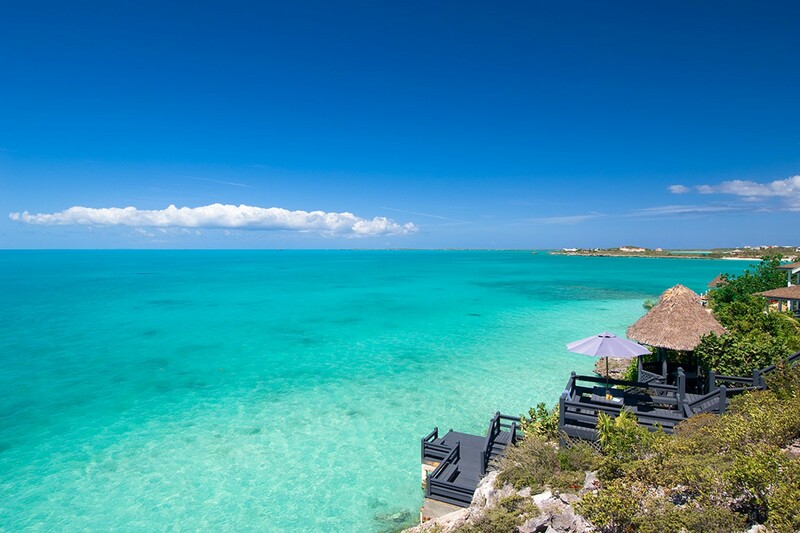 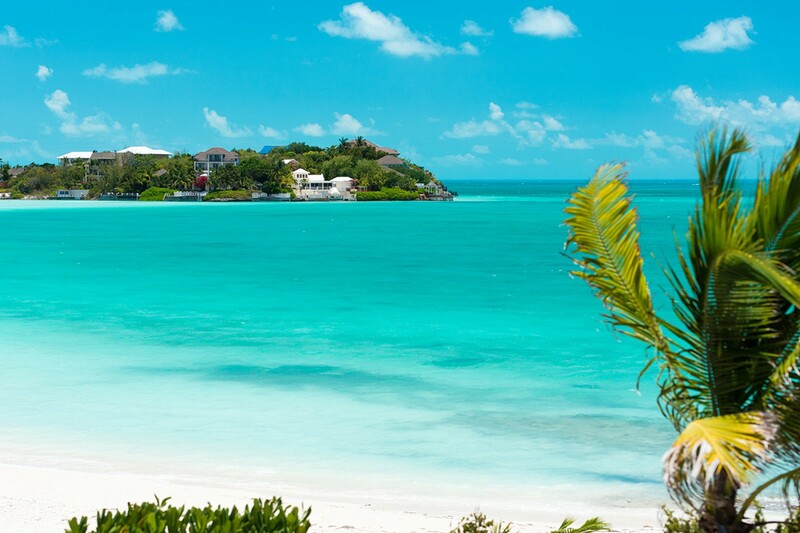 Situated in a more secluded area of Turks and Caicos, the area offers splendid scenery and quiet surroundings, ensuring guests will be safe and secure in privacy of the villa. 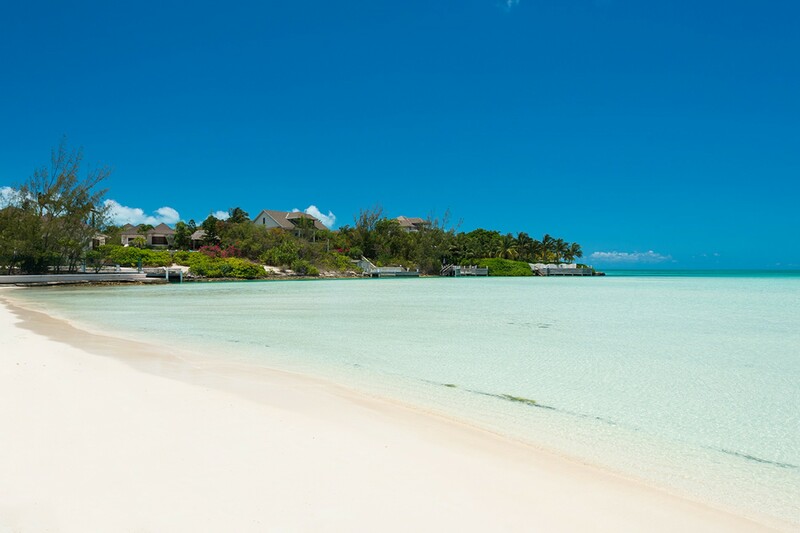 The sandy shore of Taylor Bay Beach is reachable on foot in minutes (1km), as is a nearby tennis court. 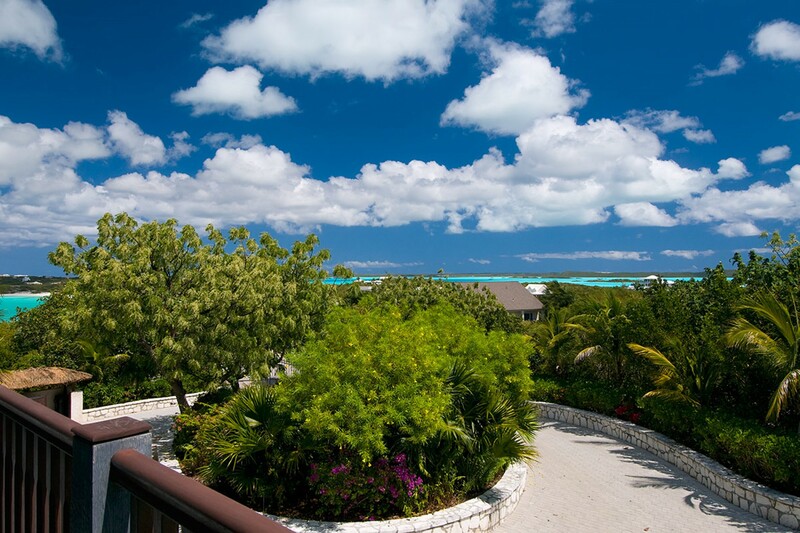 Approximately 10 minutes’ drive (9km) to the Providenciales International Airport, Villa Seacliff is also about 20 minutes from the Provo Golf Club (18.3km). 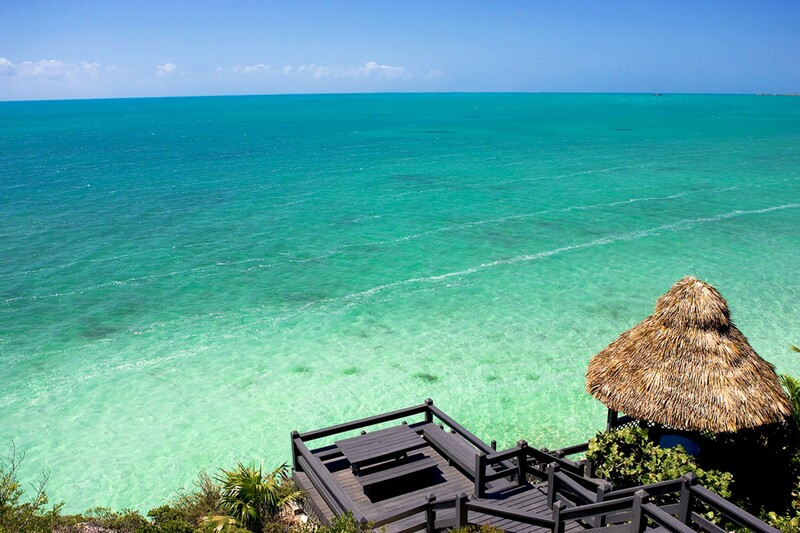 Other sights and attractions on the island are best reached by driving, such as Princess Alexandra National Park (20km). 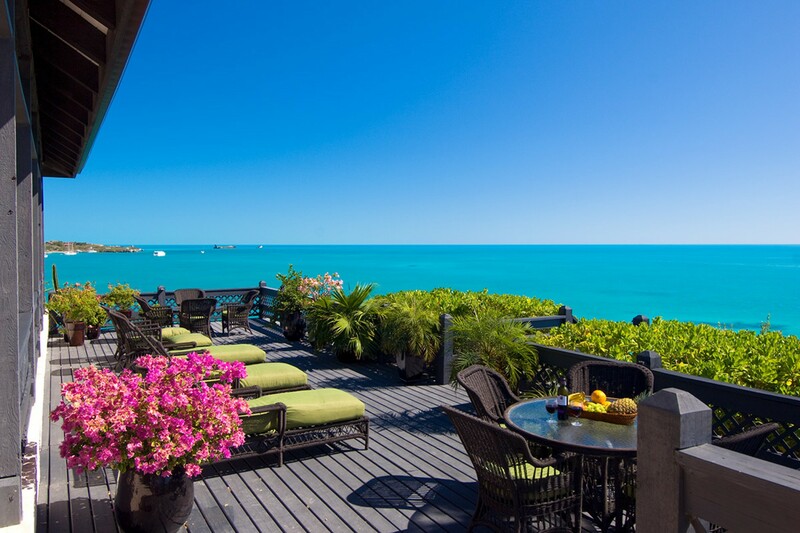 Grace Bay, the island capital, is 18km away, has plenty of shops and restaurants populate the town for all retail therapy, as well as Grace Bay Beach, touted to be the second-best beach in the world. 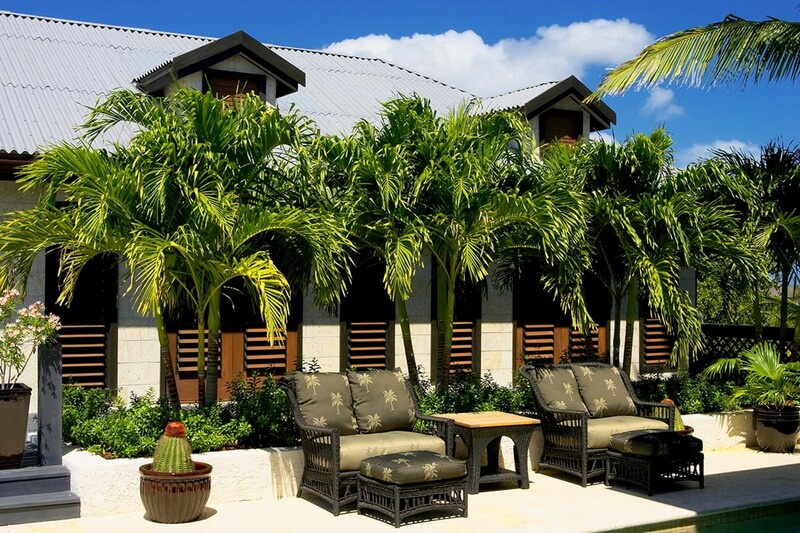 At Blue Haven Marina, guests can charter boats, go scuba-diving, fishing and take eco tours of the barrier reef.